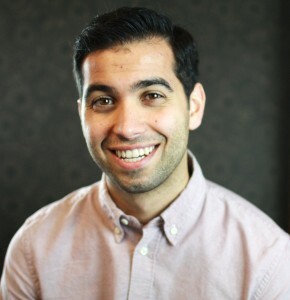 Ever since graduating in 2012, Alex Diaz has been making moves in his career from starting at global advertising firms Razorfish and Wunderman to becoming the Product Marketing Specialist for Xbox with a marketing consultation firm called Projectline. On top of volunteering on the UW Department of Communication Alumni Board and working on the HR Tech startup MyUnfold, Diaz recently took a job at Twitter – read about his work there and what it took to earn this dream opportunity. (Spoiler alert: Twitter helped him land the job at Twitter). What is your new title at Twitter? “It’s quite the change! For the longest time I was working on strategy and project management related work and while strategy was something I found passion with at first – I learned it wasn’t something I wanted to do long-term, especially at an agency. My major reasons were that I found myself planning or building ideas for campaigns and seeing that the execution portion could have been better – I wanted to be the person that made it better. I wanted to get out of the sidelines and affect the bottom-line. I wouldn’t be able to do that from a strategist role. “So I decided to take my sales, strategic, and digital-minded skills away from the agency life and directly into the tech world, specifically to work on a product that I love to use and talk about – that product was Twitter. What was the process like for getting recognized by Twitter and applying? What advice do you have for young professionals looking to work for a huge well-known name, like Twitter? Did you find that you had to make some sacrifices to accelerate your career and work for a bigger company? What Communication skills do you continue to utilize at your job?